Yesterday, I got a look at Pixar’s other contender this year in The Good Dinosaur, and let me tell you…2015 is a good year for the studio. Sure, Inside Out is getting a bit of Best Picture buzz and has been called one of the best Pixar films in some time, but The Good Dinosaur is no slouch either. Though not quite on par with their instant classics, this movie is very strong and perhaps one of the most beautiful looking bits of animation ever. In that regard, it’s quite special, trust me there. It’s going to be an Oscar contender for sure, so it’s two for two for Pixar this year. It comes out this week and it’s surely about to become a big hit. The film is a what if about a situation where the dinosaurs never went extinct. What would have happened if that asteroid never slammed into Earth? Well, over millions of years, dinosaurs would have dominated the planet, making an agrarian society of sorts, with humans simple pests. That dynamic changes somewhat for Arlo (voice of Raymond Ochoa), an Apatosaurus who befriends one while lost and trying to find his way home. Along with his human Spot (voice of Jack McGraw), the two set out on a great adventure in the truest Disney sense of the word, encountering danger but also learning something about themselves in the process. Peter Sohn directs here and co-writes with the team of Erik Benson, Meg LeFauve, Kelsey Mann, and Bob Peterson. As for the rest of the voice cast, they include Sam Elliott, Frances McDormand, Anna Paquin, Jeffrey Wright, Steve Zahn, and more. What really is noticeable here is how beautiful the movie looks. I scoffed a bit when I heard that an attempt at a Best Cinematography nomination was being made here, but I buy it now. It’s a long shot, but this very well may be the best looking animated feature that I’ve seen in a very long time. The nature on display is absolutely gorgeous. The story is somewhat traditional and nothing to write home about, but the look and feel of the flick is great. Factor in solid voice work and a very pleasing allure to it all and this is an unquestioned success. By and large, this is meant more for kids than adults, but since it’s Pixar, this is hardly a bore for folks in their teenage years and beyond. It’s for the whole family, that’s for sure. If it suffers at all, it mainly suffers in comparison to Inside Out, which probably will be the more likely Oscar vehicle for Pixar. Awards wise, it seems like a safe bet that this will have an appeal to Academy members. Look for campaigns in Best Picture, Best Director (for Sohn), Best Original Screenplay (for Benson, LeFauve, Mann, Peterson, and Sohn), Best Animated Feature, Best Cinematography, Best Sound Editing, Best Sound Mixing, and Best Original Score. Right now, I think The Good Dinosaur could only wind up with one nod (in Animated Feature), though a nom in one of the Sound categories is certainly up for grabs as well. Anything larger is probably hindered by all the love for Inside Out, though I applaud the bold shot at a Cinematography citation. I don’t think it will happen, since it has never previously and the Academy is not quick to change their ways, but again…bravo for trying. Perhaps it will pave the way for something down the line to get in? 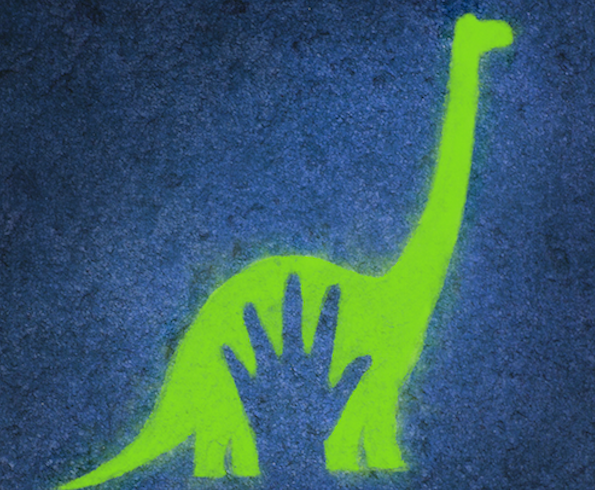 Be sure to check out The Good Dinosaur, in theaters everywhere starting this Wednesday!